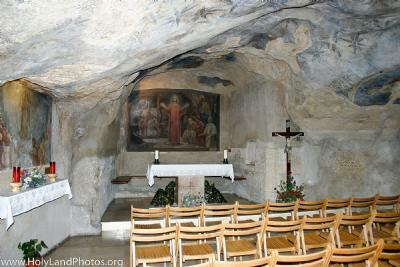 The "cave" or "Grotto of Gethsemane" is located to the north of the frequently visited "Church of All Nations." This grotto has been venerated since the Byzantine Period as the place where Jesus prayed while his disciples slept and near which he was betrayed. Some also main that this is where Jesus met with Nicodemus (John 3:1-21). Today the Franciscan Order controls and maintains it.